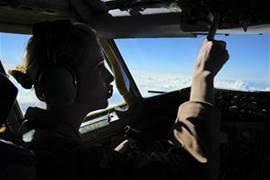 An Air Force refueling squadron stationed in Kyrgyzstan has flown its 25,000th air refueling mission. The 22nd Expeditionary Air Refueling Squadron, which provides one-third of the aerial refueling for operations in Afghanistan, reached the milestone on May 4, according to a news release from U.S. Air Forces Central. “Like their squadron mascot, the mule, the 22 EARS has stubbornly labored to safely and efficiently fuel the fight despite harsh winter and other ops-related challenges,” Col. Brian Newberry, 376th Expeditionary Operations Group commander, said in the news release. Dubiel’s mission was one of 346 tanker sorties between April 29 and May 5 that refueled 1,527 coalition aircraft.